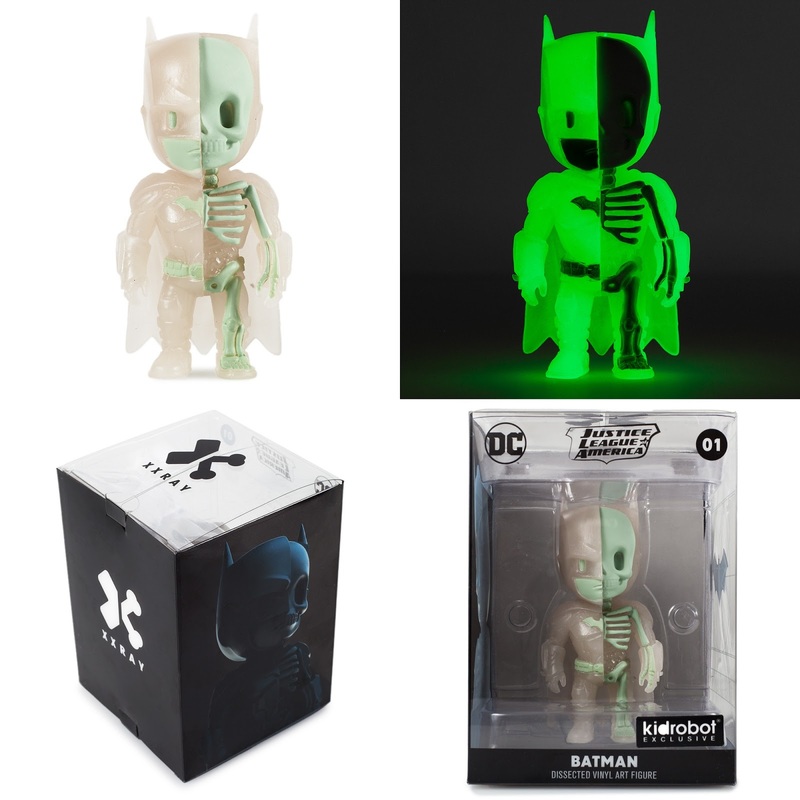 Kidrobot has teamed up with Mighty Jaxx to release this striking KR exclusive Glow in the Dark Batman XXRAY vinyl figure! This retailer exclusive colorway of DC Comics’ Dark Knight features Jason Freeny's anatomical style in a white and glow in the dark color scheme. 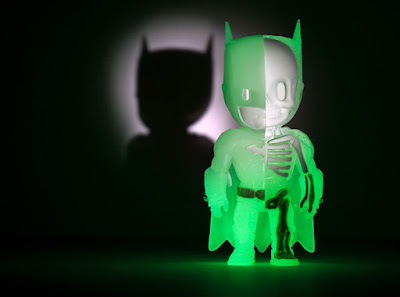 The Kidrobot Exclusive Glow in the Dark Batman XXRAY is molded in PVC and stands 4” tall. This hand painted DC Comics figure was dissected by Jason Freeny, illustrated by Ben Qwek and sculpted by Adam Tan. Collectors can order this limited edition figure now at the Kidrobot online store for $19.99.